It was a reference to the Official IRA ceasefire in 1972 and the IRA ceasefire in 1997. Unfortunately, just like matter and anti-matter, everything here has its destructive counterpart. What’s the difference between unionists in the 1960s and today? Answer: none. Bigoted, benighted, backward, blind to any prospect of a new beginning, they can’t see the wood for the trees. In the 1960s, after the IRA border campaign collapsed, its Marxist leadership settled on a new approach - politics. Volunteers were to involve themselves in tenant associations, trade unions, housing campaigns, demanding fishing rights and so on. In the north many IRA men became involved in the civil rights campaign from 1967. Spotting known republicans in civil rights marches and housing sit-ins, unionists stupidly decided it was all a cunning IRA plan. They looked a gift horse in the mouth, for these people weren’t demanding a united Ireland. They were demanding equal rights and justice. Instead of breathing a sigh of relief that the IRA had changed, disarmed and entered the political arena, unionists demonstrated that if the IRA didn’t exist they had to invent it. They needed to be besieged, beleaguered, threatened by a secret enemy so crafty and devious its powers verged on the supernatural. Here we go again. Just like the IRA in the sixties, the leadership in 2005 instructed volunteers to stand down and, as Gerry Adams quoted on Sunday, ‘to take part only in purely political and democratic programmes and no other activities whatsoever’. 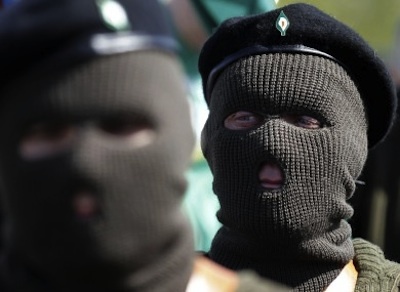 Notice IRA members weren’t told to disband. The aim was to redirect their activities into political action ‘through exclusively peaceful means’ just as in the sixties. Now unionists are telling us they didn’t know that. There was an IRA convention in 2007 to endorse Sinn Fein’s decision to support the PSNI. Unionists knew nothing about that? In 2008 the two governments commissioned a special report on paramilitary activity from the Independent Monitoring Commission. It reported that ‘members and former members of all paramilitary groups remain very active in non-terrorist types of crime, a bequest from the Troubles which will dog NI for years’. Unionists, then sharing power with Sinn Fein, didn’t read that? In other words, the IRA still existed but in a different mode. Unionist MPs listening to him didn’t realise that? Now the chief constable tells them that individual IRA men involved in killing Kevin McGuigan were neither authorised nor acting on orders, and Sinn Fein leaders have disowned them as criminals, but unionists don’t want to hear any of that. It’s significant that the loudest unionist voices are those of MPs who always opposed the Good Friday Agreement, never wanted to share power and still fantasise about a return to the majority rule of 50 years ago. As usual unionist rhetoric is recklessly irresponsible, whipping up those supporters most susceptible to emotional reaction knowing full well that our proconsul will not declare the IRA ceasefire over, that the assembly will continue but it will be easier to justify blocking any change nationalists want. Has it ever occurred to these political idiots that their always predictable ranting intransigence contributes to support for dissidents, makes it easy to convince impressionable youths that Sinn Fein has ‘sold out’ and that the only thing unionists understand is violence? Of course it has occurred to them. They know what they’re doing. Pretending the IRA is a real and present threat when they know for certain it isn’t is far easier than politics and certainly the politics of compromise. It’s a matter of record that unionist politicians are happy only when they are demanding more security, more police, more draconian laws. If they couldn’t conjure up the spectre of the IRA they’d be speechless.